A flood and coastal erosion defence plan is to be drawn up for a village near Whitby where a nine-year-old girl was killed by a falling rock. Harriet Forster, from Oxford, was killed by a falling boulder on Staithes beach during a family holiday in August last year. 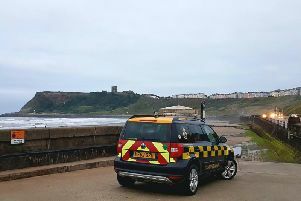 Scarborough Council has now been awarded £100,000 from the Environment Agency to create a coastal defence strategy for Staithes, which will also look at cliff stability. The strategy will aim to protect the village for the next century and, once completed, will allow the authority to bid for funding to carry out the work. Cabinet member Cllr John Nock (Con), said he welcomed the commissioning of the defence plan. A consultant will now be appointed to carry out the work on the strategy.